[FOCUS] Korean Performing Arts Festivals: An overview and analysis of the history and evolving nature of these events. Performing arts festivals are special annual events that offer an opportunity to bring together all kinds of performances, and they also provide fresh perspectives to breathe new life into the performing arts scene. The well-known Edinburgh (International) Festival and Avignon Festival have become international festivals because they offer an opportunity for not only the British and French national performing arts cultures, but also the wider European performing arts cultures, and in the process, they have also gained social influence and through that influence, give inspiration to the audience. In the 21st century, performing arts festivals have a new task to accomplish in terms of the relationship with local culture. As culture and arts events, performing arts festivals become a valuable creative asset for local marketing and tourism, but sometimes people are so eager to benefit from the festival as an asset that they forget their priorities. As a result, the festivals become a competition to show visible results or display economic, political and social power. The result of this is that the festival becomes a copycat of stereotypical programs and a mere imitation of internationally renowned festivals. In this case, performing arts festivals end up obsessing over differentiation through genres and programs and showing tangible results, when really, they should be focusing on using the festival to pose fundamental questions about humanity and the arts, and establishing their own significant identity. Present day performing arts festivals clearly identify their artistic goals, plan programs to achieve those goals, and strive to bring together various artists and audiences to the festival. However, performing arts festivals are in their infancy in Korea. 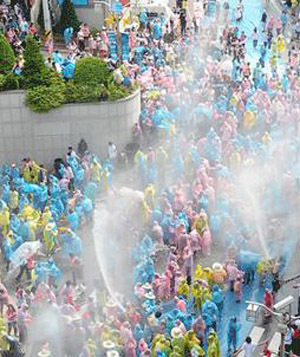 Along with Korea’s rich history, Korean festivals date back to thousands of years, but during the past century of turmoil with Japanese colonization and the Korean War, the long kept traditions of Korean festivals were not handed down intact. Given this historical background, performing arts have not had a smooth ride. The Yeongnam Arts Festival started in Jinju as a comprehensive arts festival in 1949, and was the matrix of the modern arts festivals in Korea. The festival was held annually (except in 1950, due to the Korean War) and in its 10th year in 1959 the festival was renamed the Gaechon Art Festival. 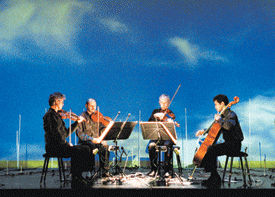 Until the mid-1980s it was a leading and comprehensive festival among the local arts events. 1977 was the establishment of the Seoul Theater Festival, followed later by the Modern Dance Festival (MODAFE 1982~) and Korea Theater Festival (1983~). In these cases, the overall trend was to focus on single genres rather than varied arts festivals. In this process of evolution, festivals broke down into single genre events, and at the same time they became centralized around Seoul. On a different note, arts events such as the Korea Theater Festival and Korean Dance Festival (1992~) had tours across the nation. It is believed that it was an attempt to be more balanced, and to gather artistic creativity nationwide as opposed to being focused on Seoul. In the late 1980s artists and festival planners came together to establish the Chuncheon Puppet Festival and Chuncheon Mime Festival, and local artists started to build their own theater festivals in Geochang and Masan. This was the turning point when performing arts festivals started to take their modern form in Korea. Moreover, the Chuncheon Puppet Festival and Chuncheon Mime Festival were important milestones in diversifying the Korean performing arts field because they focused on non-mainstream genres, compared to just theater and dance. In 1995, with the launch of the autonomous local government system, local festivals popped up here and there, and around the year 2000, performing arts festivals started to evolve in various ways. As for theater festivals, there are various festivals being held, each building and creating their own colors. 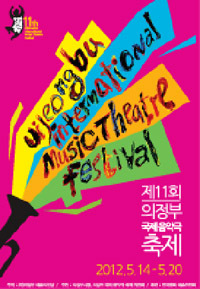 Both the Gwacheon Festival and Yangpyeong Open-air Arts Festival focus on outdoor performances; the Seoul Marginal Theater Festival seeks experimental and alternative theater performances; the Miryang Summer Performing Arts Festival in which a theater group (Street Theater Troup) built their theater town in the region to attract young performers to Miryang every summer; the Uijeongbu International Music Theater Festival focuses on showcasing music theater pieces at the local large scale theaters; and the Ansan Street Arts Festival is an up-and-coming festival focusing on street arts. On the other hand, dance festivals have undergone fewer transformations compared to other genres, but the Changmu International Dance Festival and the Anseong Juksan International Arts Festival that started in the mid-1990s have distinct characteristics. The Changmu International Dance Festival seeks to modernize Korean and Asian traditional dances to introduce them on the international stage, and the Anseong Juksan festival is led by the avant-garde dancer Sin Cha Hong and seeks to exchange avant-garde and experimental dance in and around the country. Around the year 2000 the Seoul International Dance Festival was established, in an effort to build international dance networks and find a new method of planning conventional dance festivals. Under a similar backdrop, the Seoul Modern Dance Festival was able to break out of the conventional framework, and was able to open new horizons for dance festivals. 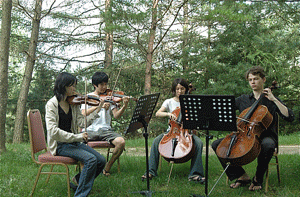 There were no music festivals before the 1990s but with the Seoul International Music Festival (SIMF) (1993~) and the Jeju International Wind Ensemble Festival (1995~), various types of music were put together as festivals. Pop music festivals such as rock music festivals; drum festivals; chorus festivals; the Jeonju International Sori Festival - focusing on the unique Korean sori (sounds); the Tongyeong International Music Festival which started as a festival to commemorate the late Korean composer Isang YUN but expanded to becoming and international music festival; the Daegu International Opera Festival based at the Daegu Opera House; the Great Mountains International Music Festival and School that seeks to become a world class classical music festival and at the same time provides high quality masterclasses as part of the festival; and the Jarasum International Jazz Festival that established a local jazz center to bring together jazz musicians for an international festival. Around the year 2000, festivals focusing on single genres began to evolve once again into mixed performing arts festivals. There are many that mix different genres together, such as the Seoul Performing Arts Festival, that has removed the boundaries between theater and dance as well as the stage and the audience; the Korea Experimental Arts Festival that seeks to break the convention and pursue experimental arts; and the Seoul Fringe Festival that breaks free from the ready-made standards and logic to pursue independent arts and cultural exchanges. Apart from mixing different genres together, many groups and organizations have specialized around their performance stages to hold performing arts festivals – such as the D. FESTA and The World Festival of National Theaters. As can be seen from the above, Korea’s performing arts festivals started from the 1949 Gaechon Art Festival, slowly evolving into the modern day form; turning into single genre festivals in the 1980s to finally taking its current form in the 1990s. Then, around the year 2000, diverse genres came into being based on various experiences acquired and shared in society, and as a result festivals started to look more like international arts events. However, if we look at it from a bigger perspective, performing arts festivals are still developing. Although there are some festivals that have built their own identity and traditions by setting clear goals and consistent plans, overall, most are still going through trial and error to find a unique identity. As a result, many festivals have a double task of standing out and having significance as an arts event as well as building a professional management structure to support their activities. 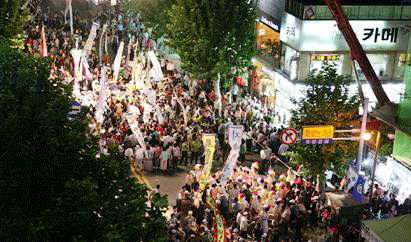 In Korea, there are approximately 1200 big and small festivals being held annually. Over 65% of those festivals were established after 1995, and most festivals are still in their developing stages. Statistics show that among the 1200 festivals, fewer than a hundred include all three performing arts, visual arts and video arts – only taking up about 8%. 80% or more are local tourism festivals that focus on the environment, history and culture, local specialties (agricultural produce), historical figures, and folklore. Among the total number of arts festivals, performing arts takes up the highest proportion, followed by video arts festivals (including film festivals), and visual arts festivals including biennales. Despite this, performing arts represent only a minute segment compared to the total number of festivals in the country. The majority of festivals are held to promote local marketing and tourism, so the stark reality for performing arts festivals is that they are consistently compared with local festivals that have different goals in terms of purpose, programming and social influence. What this means is that the performing arts festivals constantly have to deal with political, economic, and social pressures at a time when they also have to focus on building their own identity. “For what” and “with which method” are we communicating and exchanging internationally? But in the end, what’s important is not the proportion of performing arts festivals, but what kind of influence and significance they have in society. That kind of influence cannot be achieved by striving to meet the criteria that local governments require – how much of a ripple effect the festival has, expectations, and visible results for public funding. Rather, only when performing arts festivals are faithful to building their own identity through a clear goal and consistent programming can it achieve such significance. What, then, is the current status of performing arts in today’s society? And what kind of artistic inspiration or creativity can it give to all the artists, art productions and audiences who come to enjoy the festivals? Aside from knowing and simply exchanging international arts trends, “which method” are we using, “for what” and “for whom” to communicate and exchange internationally? These are the fundamental questions the Korean performing arts festival groups must pose in each of their missions and programs. Born in 1968, Meekyung CHOO studied English Literature, performing arts and cross-cultural studies, and also studied European cultural policy in the United Kingdom. In 1998, she was a founding member in the establishment of the DAUM Institute for the Cultivation & Research of the Arts (currently Daum Society). She is now the Executive Director and her activities are centered on the training of cultural personnel in local communities, cultural projects relating to local regeneration through arts and culture. More recently, she has been focusing on the <30-year Regional Culture Project> with long term goals to promote localized cultural competency, and an international culture project called that seeks to make the best use of spiritual assets and cultural values accumulated over the long history of mankind.